3 WAY PRESSURESTATIC SHUNT VALVES FOR DOMESTIC BOILERS. 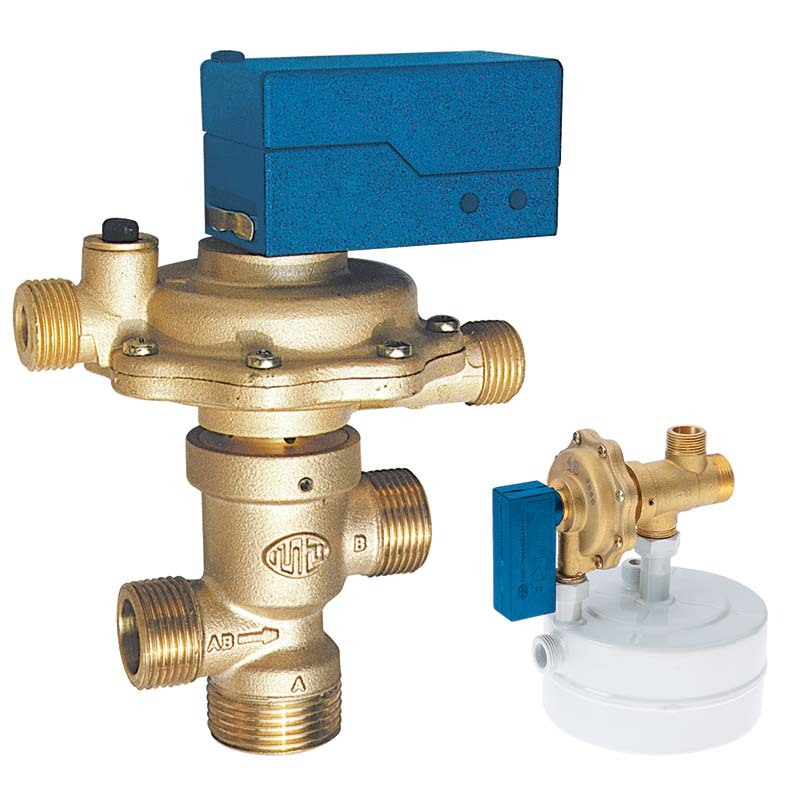 VDP valves are used in domestic boilers with heat exchangers for instantaneous domestic hot water production. When the user requests domestic hot water, the VDP valve shunts the flow of water from the primary circuit of the boiler towards the instantaneneous heat exchanger (boiler) excluding the heating circuit; this shunted flow is modulated depending on the domestic hot water flow rate until it reaches the rate where the microswitch trips. 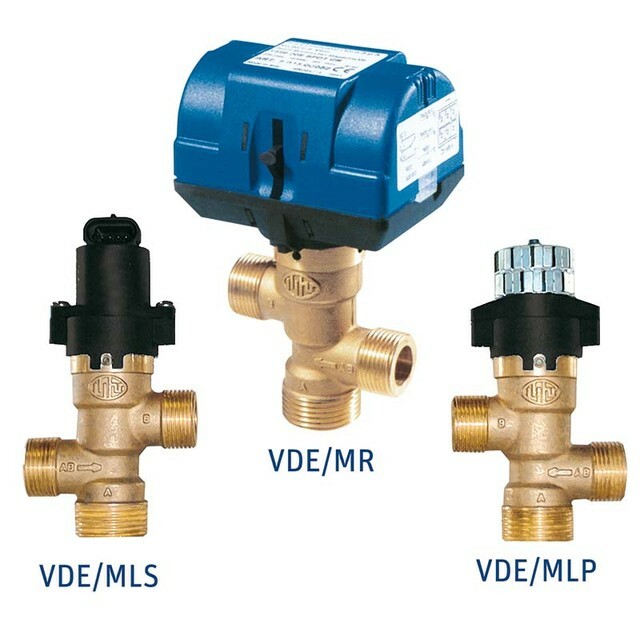 The VDP valve is equipped with auxiliary microswitches and with an eventual flow rate regulator (reducer). There is a version that besides the above mentioned characteristics is able to modulate the domestic water flow rate in a wide entrance pressure range thanks to a by-pass (VDP/M series). All versions are also available with secondary heat exchanger (see fig. 3). In this case they are called secondary groups.